Black Multiway Blouson Top is rated 4.2 out of 5 by 9. Pair this Beach to Beach blouson top with briefs from the mix and match range for a look that will have you diving straight into summer. Silicone tape to front, light bust shelf and avoid tan lines with the removable straps feature. Rated 3 out of 5 by MrsW from Too short Not long enough so I had to return it. 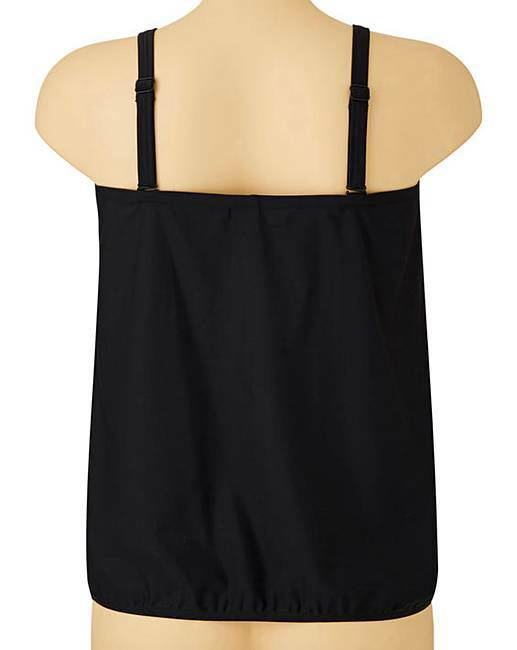 Could really do with longer tankini tops to cover everything up. This ride up when I reached up. 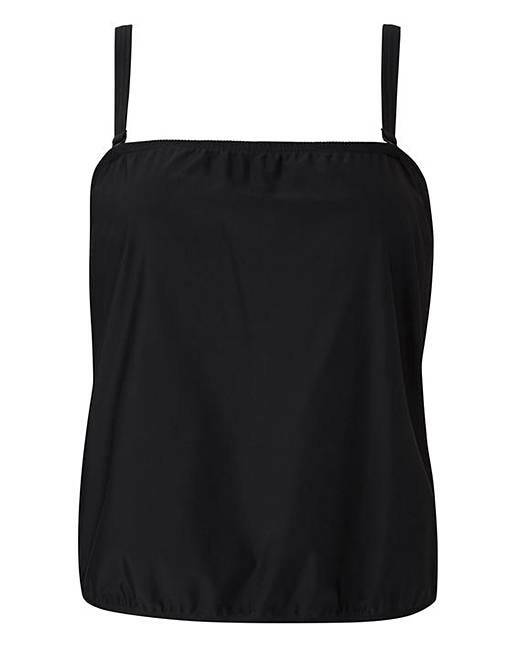 Rated 5 out of 5 by Frankie from Useful addition to my swimwear Always seem to end up with tops fading in the sun and have a couple of pairs of black swim pants without any top so this will be a perfect match. Rated 5 out of 5 by Polly from Great Comfortable, good length.great for my beach holidays. Rated 4 out of 5 by LiliiB23 from Fabulous Top! Got this for my sister for Christmas and for our next holiday and I know she will love it! Fabulous material and very flattering. Rated 4 out of 5 by theyardman from does the job as a larger size nothing really 'looks good' but, this does the job well enough. not actually put it to the test yet, but am sure it will be adequate.